Creating anything is hard, at the best of times. I recently went through some difficult times and nothing helped me recover better than indulging in the creative arts. Yes, God bless my Family and Friends for they too helped me a great deal, but sitting down and creating something on paper or on my computer was the medicine or therapy I needed. Part or Chapter 2, continues where True Peace left off. 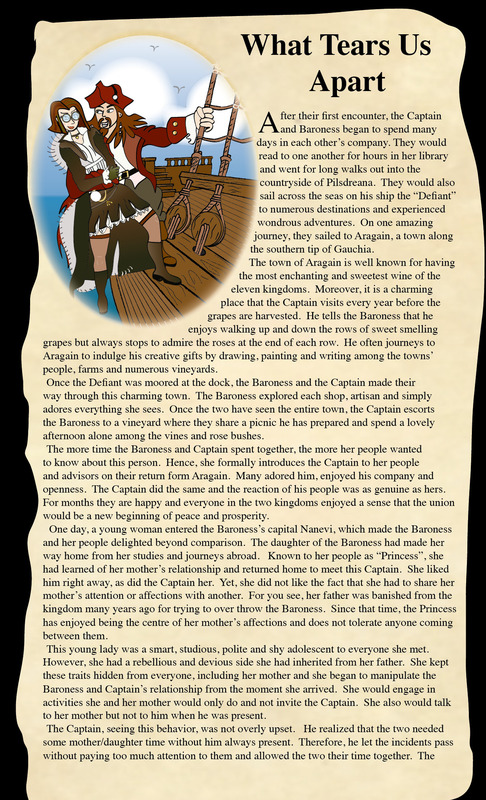 The Captain and the Baroness began spending time with each other and their relationship flourished. However, like in every story, forces conspire against the two leaders/lovers. 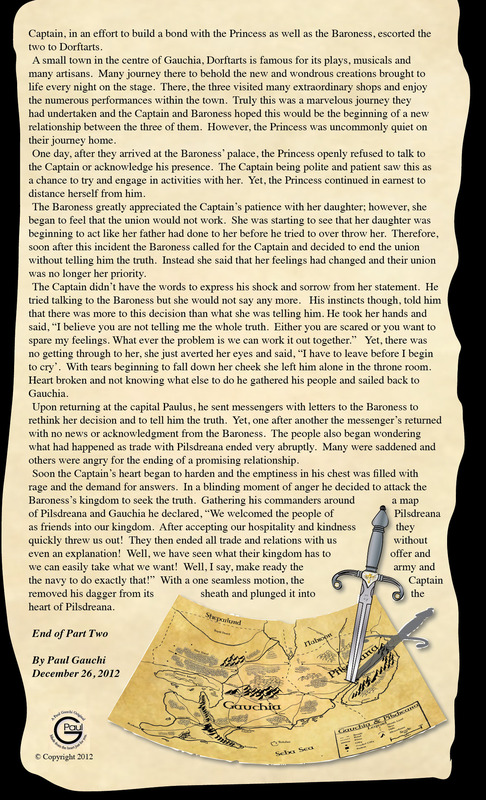 Well I will not ruin the story for you all, you will just have to read it for yourselves. Take Care and Enjoy Reading.